Recent figures from a new survey have shown that landlords in Leeds could be earning higher rental returns than anywhere else in the country at present. The survey, which was produced by comparison website Totallymoney analysed property prices and rental incomes throughout the UK, finding a clear divide between the north and south, with northern regions delivering a consistently higher yield than those down south. Indeed nine of the top ten regions for rental yields were in the north of England and Scotland, with Leeds' LS6 postcode delivering a market leading yield of 10.79% per annum. The LS6 postcode within Leeds is popular with both young professionals and students, and the regions popularity has driven average rents up in recent years to an average of £1,044 per month. The Leeds property market has proven increasingly popular in recent months, with investors attracted to the lower property prices coupled with high demand within the city centre districts. 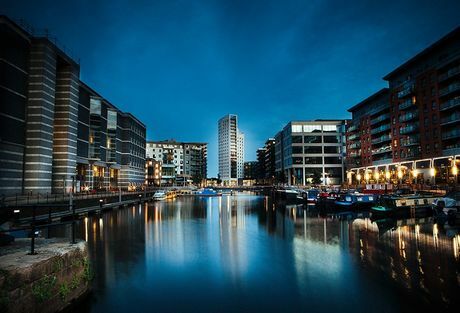 With extensive redevelopment now being undertaken around regions such as the South Bank of Leeds city centre, the number of new jobs being created within the city is expected to increase considerably throughout the next five years. If you are interested in investing in property in Leeds, and would like to find out more about our portfolio of buy to let investment properties for sale in Leeds city centre, why not contact us today for details on our new exciting development, just minutes walk from the city centre.